The ABC has released its 2019 local radio lineup with few changes to its flagship metro and regional programs, unlike last year’s shake up which saw long-standing schedules overhauled. Most notable among the few changes is Brisbane’s breakfast show, which will see Rebecca Levingston move to mornings and replaced by Loretta Ryan. Of the other city-based breakfast shows, Sami Shah and Jacinta Parsons remain as Melbourne’s hosts while Robbie Buck and Wendy Harmer continue their partnership in Sydney. In Adelaide, breakfast presenter Ali Clarke and mornings presenter David Bevan will continue to co-host their shared slot from 8.30am to 9.00am. Acting director of ABC regional and local, Judith Whelan, said 2019 was about building on the changes made at the start of the year: “We saw significant change to our programs and lineups in 2018. We’ve worked hard to bed in those changes and are now seeing a positive response from our audiences. Drive presenters remain unchanged in all five capital cities, with Richard Glover presenting in Sydney, Raf Epstein in Melbourne, Steve Austin in Brisbane, Jules Schiller in Adelaide and Geoff Hutchinson in Perth. Perth will see several new presenters in 2019, starting with Barry Nicholls who will present an early-bird statewide Breakfast show from 4am – 6am. Russell Woolf and Nadia Mitsopoulos take over the Perth Breakfast slot from 6am – 10am and Jessica Strutt presents the morning Focus. Afternoons sees the extension of Gillian O’Shaughnessy’s program starting at 12.30pm and Christine Layton is the station’s new Saturday Breakfast host. ABC Radio Canberra sees changes to the latter part of the day with former Perth Breakfast presenter, Paula Kruger joining the Afternoons program and Anna Vidot moving to Drive. The metro network’s regular current affairs programs will also remain the same in 2019 with 30 minute editions of AM at 8.00am, The World Today at midday and PM at 6.30pm. 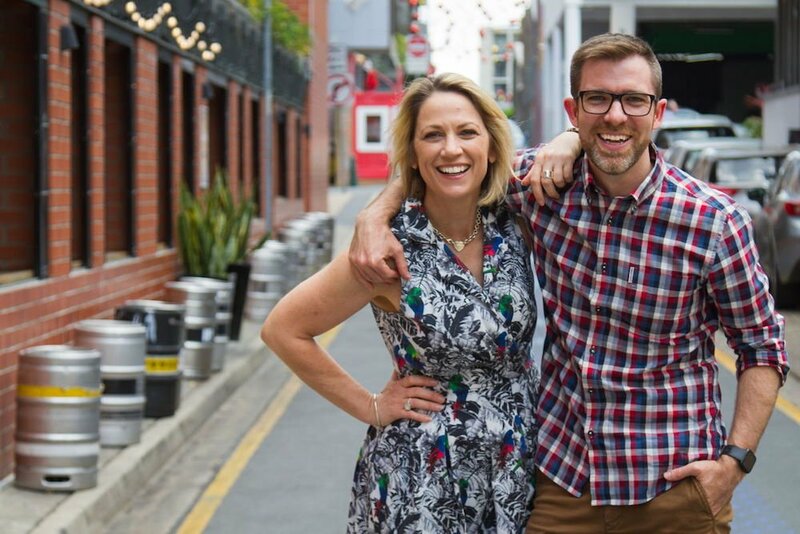 Outside the metro stations, ABC Newcastle is to see a major overhaul to its schedule with Jenny Marchant and Dan Cox to present a new double-header breakfast show. Former Newcastle breakfast presenter, Aaron Kearney, will also return to the station to present drive. After 10 years, the station’s weekend Treasure Hunter spot will move to a limited season to make way for a new show to be announced in 2019. In the regions, all of the ABC’s key programs will return in 2019 including the seven state-based Country Hour editions and the national regional current affairs program Australia Wide, presented by Sinead Mangin weekdays at 6.30 pm. The program will continue its repeat on RN and Radio Australia weekdays at 7.30 pm. In South Australia, Narelle Graham will present the regional Drive program from 4.00pm to 6.00pm. Radio National will see three new programs: Sporty, a new program covering sports and general fitness hosted by Amanda Smith, along with a new religion and ethics program Soul Search, which will explore people’s beliefs and their search for meaning, and a world documentary program showcasing the best radio documentaries from Australia. You missed MAJOR changes in Perth, Paul, not the least being the very welcome return of Russell Woolf after his sabbatical overseas. As always, you are correct and I’ve dropped those changes into the story. Big change in the Evening show for ABC Radio Melbourne and Victoria. Lindy Burns is leaving and David Astle will be presenting.